Laid down, 21 August 1944, as a Maritime Commission type (VC2-S-AP2) hull, under Maritime Commission contract (MCV hull 542) at Permanente Metals Corp., Yard No.1, Richmond, CA. 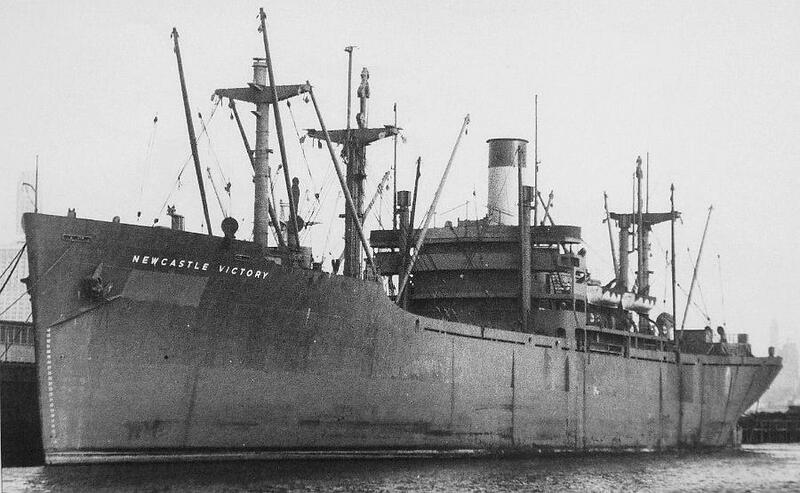 Decommissioned, 21 June 1946, at New York, N.Y.
General Agency Agreement Pacific Atlantic SS Co., 7 August 1950, Astoria, OR. General Agency Agreement Pacific Atlantic SS Co., 20 October 1961, Portland, OR. Laid up, 21 September 1953, in the National Defense Reserve Fleet, James River Group, Lee Hall, VA. Laid up, 19 January 1970, in the National Defense Reserve Fleet, James River Group, Lee Hall, VA. Final Disposition, donated to the US Merchant Marine Academy as a fund raiser. Sold via broker in New York for scrapping at Alang, India, 17 January 1992, removed from the Reserve Fleet anchorage and delivered to buyer at Newport News, VA.